The staff from the Hotel, very nice and friendly willing to solve all the problems that we had, especially Carlos, very helpful and nice! The location is amazing! Any cons were totally compensated for by the pros! Great location and hotel staff that checks you in were super nice! The apartment is big and pretty! it is a huge appartment, with very nice furniture; one bathroom is very nice, the other 2 ones are pretty small and just with a small shower. We could not figure out where to deposit the garbage. The Location in the City of Barcelona is awesome - nice restaurants in this area. The Hop-On-Hop-Off bus is just around the Corner. 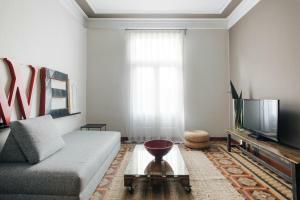 Spacious apartment in a great location in Barcelona. We are a family of 5. Bedrooms were very nice, and spacious and well lit dining and living room areas. Very "Spain"like stylish apartment. The place was so chic and amazingly beautiful! From the tile floor to the wood work of the doors , it was a piece of art. We had the business 2 bed/2 baths and it was great for us and our 2 girls who were greatly surprised by the bunk beds😜Only draw back was that their room was the only room with no AC..,given we were there in July it was really HOT! And the small fan did not help much. The other best part is the fact that we could use all the facilities of the hotel Claris and we were extremely happy to have access to thei pool which was amazing !!! This place was in a very chic neighborhood of Spain and a minute walk from Passeig de Garcia shopping! Also plenty of public transportation and the brash was only a 10 mn can ride no more than 11euros. The large space. The wifi. Walking past the Gaudi house on the way to and from the metro. 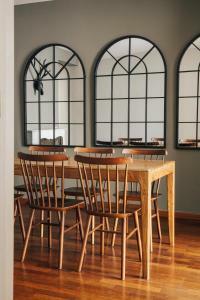 Lock in a great price for Barcelona Apartment Val – rated 8.5 by recent guests! 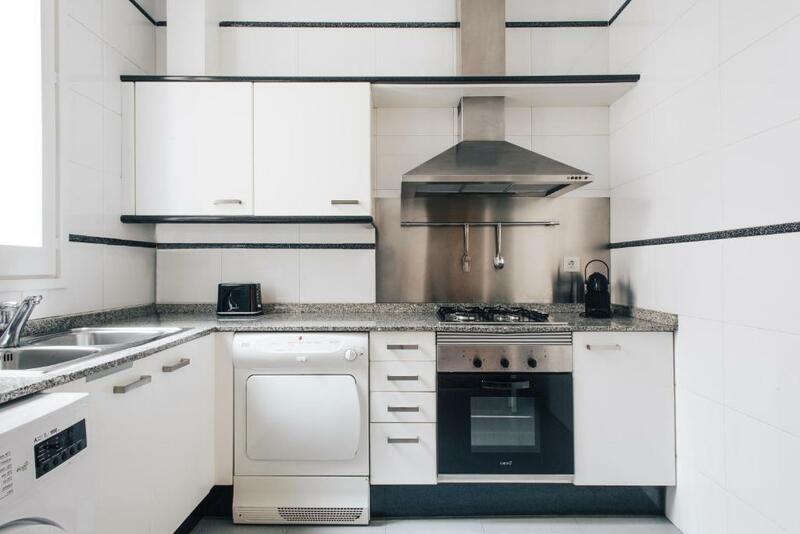 One of our top picks in Barcelona.These modern décor apartments are located in Barcelona city center, next to Passeig de Gracia Avenue and within walking distance of Gaudi’s most famous Modernist buildings. Guests have free access to an outdoor pool located in Paseo de Gracia Boulevard, 1,000 feet away. Set in Barcelona’s main shopping district, the apartments are well connected by public transport to all main tourist attractions in Barcelona. 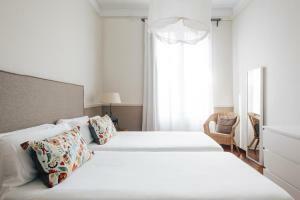 Apartments are located 10 minutes’ walk from both the Plaza Catalunya Square and the Ramblas. When would you like to stay at Barcelona Apartment Val? This air-conditioned apartment features one double room. The sitting area has a sofa bed and flat-screen TV. There is also a full kitchen, a private bathroom and a small balcony overlooking Carrer Valencia Street. This air-conditioned apartment features 1 single room and 1 en-suite double room. The living room has a sofa bed and there is also a separate bathroom and a full kitchen. This apartment features a small balcony overlooking Carrer Valencia Street. One of these apartments has one double room, a dinning room and sitting room with a sofa bed for 2, 1 bathroom and 1 full kitchen. This air-conditioned apartment features one single bedroom and 2 double rooms, one of them with a private bathroom. The spacious living room has a fireplace, sofa and a flat-screen TV. 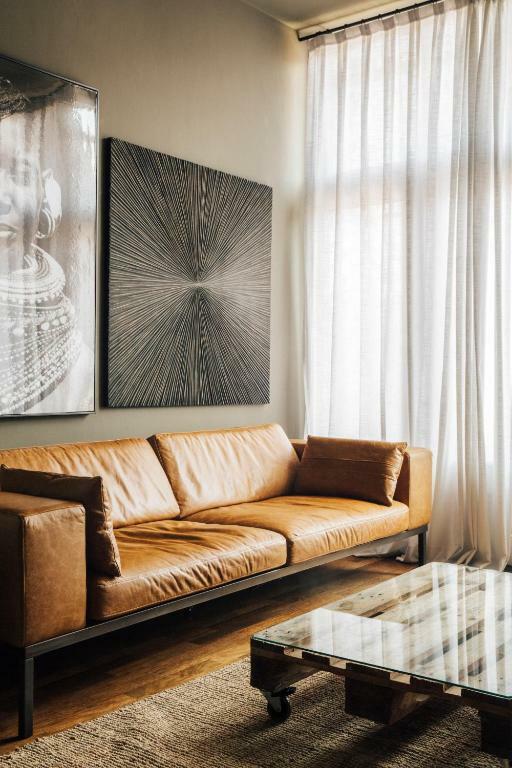 This apartment offers views of a large interior courtyard. This air-conditioned apartment features 2 balconies with views of the streets. It has one double bedroom and 1 bathroom with a bathtub and a hairdryer. Free Wi-Fi is available. The well-equipped kitchen comes with an oven, stove, microwave, dishwasher, and a coffee machine. In the living area there is a sofa bed and a flat-screen TV. 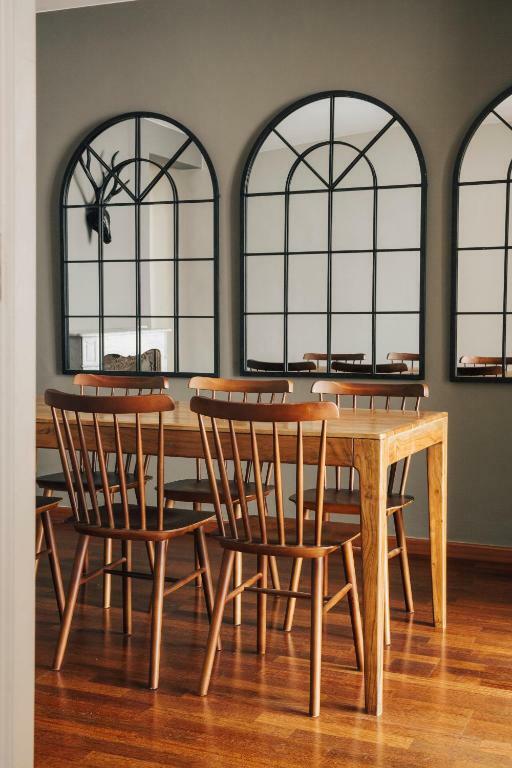 Located just minutes from Passeig de Gràcia, these apartments are a clear example of the Art Nouveau legacy and the way of life of the Catalan middle class in the 20th century. The apartments are characterised by their roominess and the building details, such as the high ceilings, oversized shutters, ceiling mouldings and typical mosaic, or trencadís, floors. Located in the heart of Barcelona’s shopping, cultural and tourist district, only steps away from the Passeig de Gràcia and just 10 minutes from Avenida Diagonal, the legendary Plaza Catalunya, Las Ramblas and the historic Gothic Quarter. 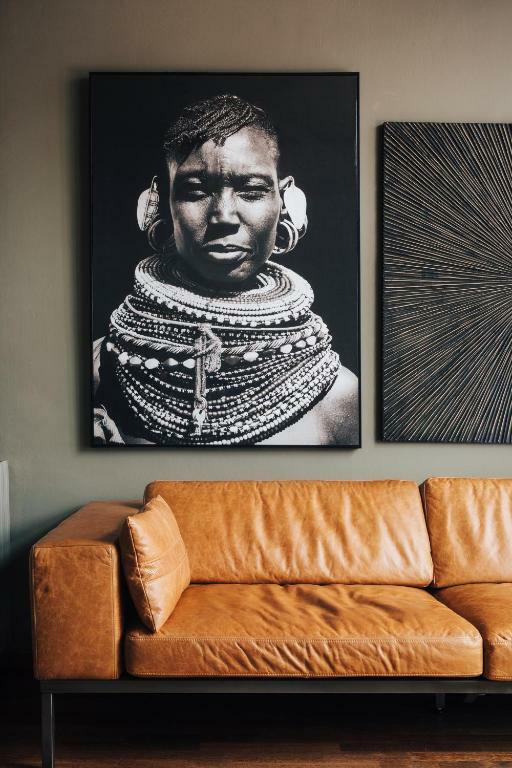 Its enviable location puts the city’s biggest tourist attractions within guests’ reach, including the main works of famous Modernist architect Antoni Guadí, including La Pedrera, Casa Batlló or the Sagrada Familia. Window shop at nationally and internationally-renowned boutiques. 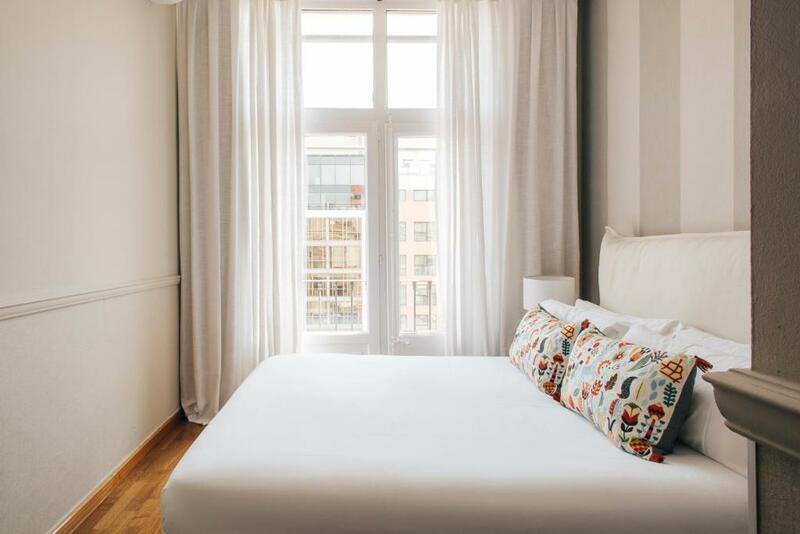 Classic top-end brands like Chanel, Louis Vuitton and Yves Saint Laurent or up-and-coming names like Stella McCartney are found just steps away from the Barcelona Val Apartment. Get a taste of Barcelona culture by taking advantage of the area’s museums, including the Egyptian Museum and the Fundació Tàpies. 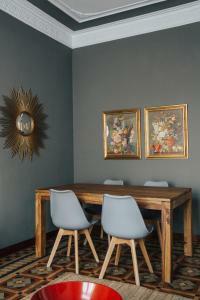 House Rules Barcelona Apartment Val takes special requests – add in the next step! One child under 2 years is charged EUR 5.50 per person per night in a crib. Barcelona Apartment Val accepts these cards and reserves the right to temporarily hold an amount prior to arrival. Please note, only 1 general cleaning is included only for stays of 6 nights or more. 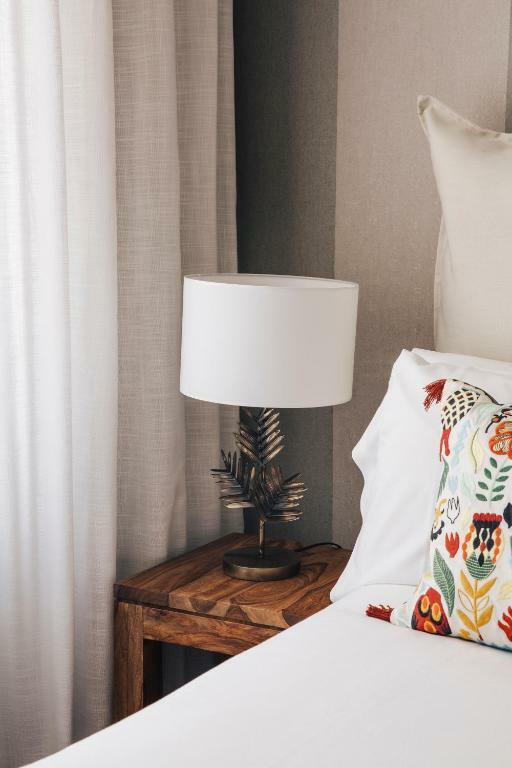 The cleaning service for shorter stays and additional cleaning service requests are subject to a supplement of EUR 45 (includes linen & towels change). Please note that the kitchen must be left clean and tidy on leaving the apartment at the end of your stay. Please inform Barcelona Apartment Val of your expected arrival time in advance. You can use the Special Requests box when booking, or contact the property directly using the contact details in your confirmation. Showers a bit variable temperature wise. Lots of room, staff at Claris hotel were wonderful and helpful. Location wonderful. Would be even better if small things like salt, pepper, oil and kitchen paper were provided. We stayed in apartment 2b which was at the back of the building. Very quiet, spacious and big sunny living space... Perfect for family of 5. Fantastic location for exploring the city. Used the small gym at the hotel a few times which was just 2 mins walk away. Kitchen was fine and good to have small welcome pack of washing up liquid, sponge and small tea towel. Very helpful staff at the hotel check in desk and enjoyed our welcome drink of ice cold cava on arrival... Very nice touch! The apartment furniture are old and not like the pictures I saw when I made the reservation. The kitchen was not fully fitted. I asked for an extra cooking pot and I was told that they can not give any extra. The hotel staff are very professional and helpful. The amazing location and close proximity of major attractions. Everything is perfect but there may be more detergent for the machines. The apartment is very spacious and has modern designed. The staff is very helpful. The location is excellent. It is in a safety neighborhood and also very close to Casa Battlo, Casa Amatller, Casa Milo and the luxury stores. Also Passeig de Gracia, the subway station and Pau Claris - Mallorca, the bus station nearby the apartment, make you easily reach to the airport, Figueras and Girona and everywhere in your must-to-do list. Master bedroom was dark, just a little window that was partially blocked. The second bathroom was tiny, like the ones on the planes. I call manager to ask for a better apartment, and his answer was that were fully booked. My apartment was nothing like the pictures. The only thing good was the location. The apartment was a bit cold and noisy. No wifi despite it being advised as available. 2 of the showers are a little small for adults. Most beds ok, but double bed in main room was hard, both couples tried sleeping in it and tossed and turned all night. We have told the staff so I am sure will be sorted. *SERVICE and welcome from hotel staff. Felt supported. *LOCATION, walking distance to attractions otherwise near bus, metro etc. *WELL EQUIPPED kitchen with washer and tumbler, hospitality packs (bathroom, slippers, kitchen cleaning products, dishwasher table and cloth etc.) *SPACIOUS great apartment! *QUIET we stayed at the back away from road at the front. Can imagine the front might be noisier. *TAPAS BAR opposite and 24/7 SUPERMARKET around corner! The only to complain about was no English TV channels. Limited cooking implements if self catering! Really spacious, well thought out apartment. Friendly staff at the adjoining 5* hotel.